No rain – but that hasn’t stopped the narcissi! Being in the middle of a serious drought means that we’re constantly scanning the horizon for clouds of any sort that might signal rain, but sadly, so far, there has been little to get excited about and we’ve had precisely two days of showers and one small thunderstorm since May … but are we down-hearted? Nay! Never, and neither is the garden. The narcissi above started flowering even before the ash trees lost their leaves and they seem to be making the most of the sunny days. Of course these winter months are filled with maintenance and building projects for Daniela, I and the Quinta team. Painting and weeding and chopping down and clearing up, and re-organising and re-re-organising – it never stops. This year the big plan is for a new “space”; we’re calling it the Yoga Shala as it will be used for that especially as it faces due east to catch the rising sun, but it’ll be used just as much for get-togethers and for hosting our increasing number of Retreats. We’ve always been a bit stymied for space for these so a new shady space measuring 20 mts by 8 mts should fit the bill nicely. While I’ve been building it I’ve noticed that it’s even good for Dartford Warblers and other friends so I’m sure it’ll be a good place also for our birding visitors. 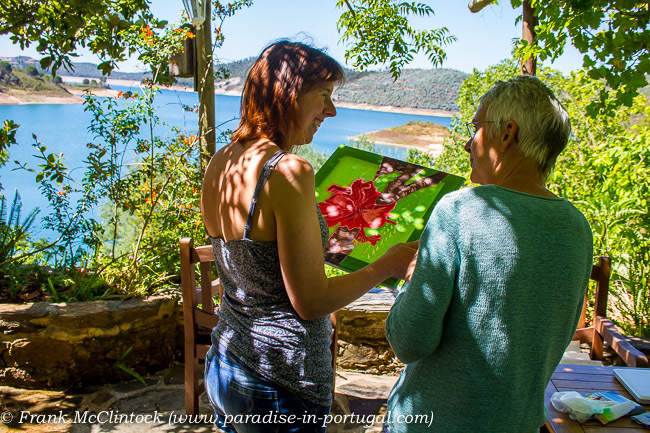 Marie Therese is always on hand – and what better place to learn Batik than the Quinta! We have Marie Therese King returning for more Batik’n’Birding on two dates; the first is seven nights from the 26th May and the second is for seven nights from 6th October. These have proved to be a great success over the last few years and as space is limited I suggest an early enquiry to Marie Therese should you be interested in learning or perfecting this interesting and innovative technique. Following on from one of Marie Therese’s weeks and starting on the 2nd June the Quinta will be hosting Lucy Gell who will be running a Print’n’Birding week which promises to be fun. Once again, places are limited, especially as she will be covering techniques including drypoint etching and linocut, giving participants the opportunity to produce a number of printsÂ as they learnÂ to improve their line and texture in these exciting mediums, so book early to avoid disappointment. 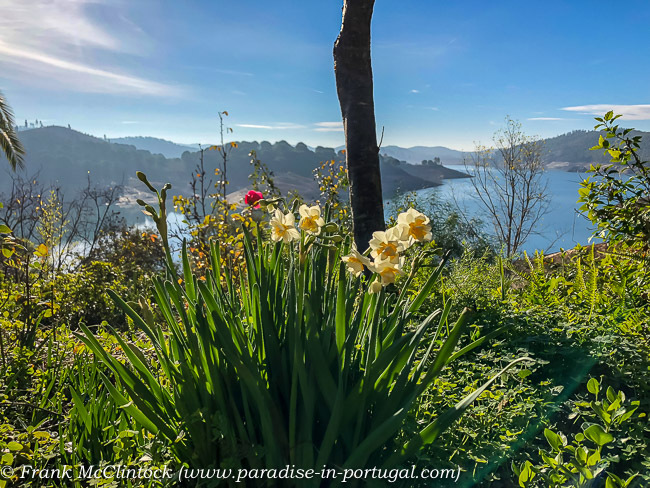 There are other Retreats too, notably Todd Acamesis’ Spiritual Underground Retreats which’ll be running twice next year at the Quinta, both times for five nights, the first from 27th June and the second from the 5th September. Here’s a link to the article about his OBEs from August this year. Ornitholidays have two weeks and Travelling Naturalist also. Ornitholidays will be coming out for a week from 6th May and again for another week from 16th September and Travelling Naturalist also for a week from 7th April and again from 23rd September. Both of these companies are leaders in the field and have both been working with us here at the Quinta for many years.